Aesthetic, function, users’ short attention spans—no matter what reason you attribute to using a shorter URL for a website, you are well aware of how popular it has become and how valuable it is to boost digital marketing efforts. The trend of using URL shorteners to clip a website’s link automatically is not unfounded. It has its advantages, but like two sides of a coin, it also comes with a set of disadvantages. But before delving into the pros and cons, it’s good to have a background on how URL shortening started. 1 How URL Shortening Began? Sending long URLs through emails used to be inconvenient as they tend to get cut. Users would have to copy and paste the entire URL again to access the website. To remedy this problem, MakeAShorterLink was created as the first URL redirection service or URL shortener in 2001. This was later bought by Kevin Gilberston, who launched TinyURL the following year. TinyURL continues to be a very popular URL shortening service provider, and many other websites and companies followed their lead. The very first thing that users comment on when seeing a long link made up of seemingly arbitrary characters is that it’s painful to the eyes. No matter how great the content is on your website, if your URL averts users, your efforts could go to waste. Shorter URLs leave good first impressions to users, so it gives email marketing campaigns a boost. This also applies to social media posts, especially with Twitter, which limits the number of characters for each tweet. You can post short yet appealing tweets using shortened URLs. The latest versions of URL shorteners have gone from merely improving email experience to full-blown digital marketing tools. URL shorteners can monitor the number of clicks your URL has received and will lay it out in an organized graph on your dashboard. This saves you the time of manually tracking your website’s traffic performance. This also gives you a quick overview of how your marketing campaign efforts are doing. 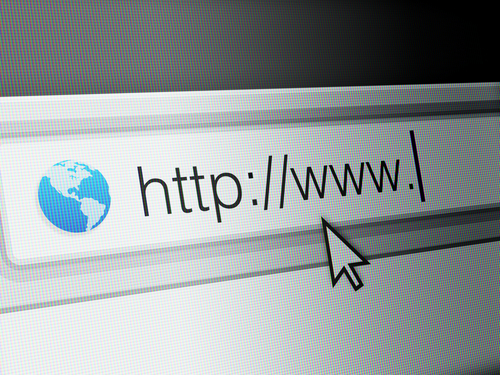 URL stands for Uniform Resource Locator, but it doesn’t mean that your website’s URL has to look the same as other URLs. Some URL shorteners also offer URL customization features. This way you can alter your current URL to your most desired form and length. Shortened URLs work by redirecting to websites. Some users have trust issues to redirected sites as there are instances when these may lead to unwanted sites. It can leave the impression that you are keeping something, or worse, getting accused of spam or click-bait by deceiving users just to gain more clicks. Due to the security concerns raised by users who reported the abuse of shortened links, many of these links have been banned by websites and forums. Browsing security features could even tag your short link as harmful and prevent users from reaching your site. No system is perfect, and the same goes with URL shortening service servers. In cases of system downtimes, all links managed by a particular URL shortening service will be affected. The shortened URLs will no longer work. When you subscribe to an unreliable URL shortening service, you run the risk of link rot or dead links. This is caused by the full shutdown of the URL shortening service provider. It’s best to pick a URL shortener that can offer a long-term service, although this remains to be one major problem. Hopefully, some better link preservation efforts will be created to deal with this issue. By using a URL shortening service, you’ll have to use the link shortener’s name. This can already have a direct effect on your branding as the shortened URL masks your own website’s name. Most of the concerns users have with regards to shortened URLs revolve around trust and security. These are very important elements to market your business and boost your website’s traffic successfully. So, before you decide on shortening your website, you have to make sure you’re weighing the pros and cons first.